Totally transform your workout routine and your body with the time-saving, fat-burning design of the Total Gym Fitness Row Trainer Full Body Workout Rowing Machine. 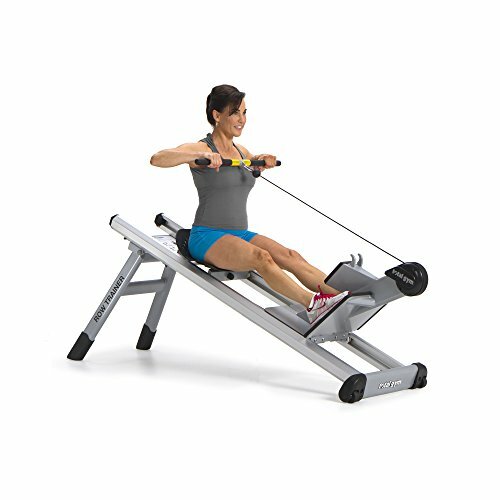 This machine emulates a natural rowing movement pattern and leverages adjustable body weight resistance for a full body workout that shreds everything from your core to your legs and shoulders. This rower targets all your muscle groups at once, enabling a smooth consistent load through the entire range of motion. Designed to adapt to all body sizes and all levels of fitness activity, this machine enables you to progress or regress your activity levels while taking it easy on your joints. Maximize calorie burn with both cardio and strength training during your next workout with the Total Gym Fitness Row Trainer Full Body Workout Rowing Machine.